KUWAIT CITY, March 25, (KUNA): Chairman of the Municipal Council Mhalhal Al-Khalid presented a proposal recently listing new regulations and requirements to organize the activities of mobile food vendors and delivery services to guarantee consumer health, stating it is time to follow suit other GCC countries in this regard. Al-Khalid told reporters the Municipal Council sees it as part of its responsibility to support the executive bodies of Kuwait Municipality through issue of regulations organizing these activities, to help keep up with the boom in such businesses. The proposal is in favor of allowing permits for such activities in parks and entertainment utilities, shopping centers, cooperative societies, sea resorts and chalet areas, and agricultural farms and livestock farms. It also suggests banning the activity on highways and public streets. 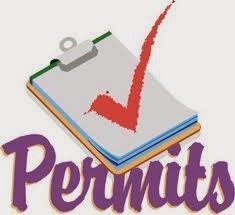 The permits should also be given after thorough consideration of the exact location for the activity, with factors such as drafts, sun exposure, and overall exposure to the elements and insects, birds, and critters taken in consideration. A mobile unit must also meet strict guidelines in terms of structure and equipment, he proposed, to guarantee safety of all items to be sold to consumers. The one time I visited Shakshooka market the popo showed up and everyone ran.